Are you looking for finance for your business ? – if so then in the current market place you will know just how difficult it is to get hold of the money you need. Back in the early noughties I wrote this information book to help friends of mine be able to access business loans to be able to buy and renovate properties in order to take advantage of the market at the time. I ended up selling the booklet for £57 a time and people were happy to pay me because of how much time and aggravation the information in the book saved them. But because of personal circumstances I haven’t been able to keep the book up to date – however the general principle rules of ‘ how to get a business loan’ haven’t changed ……. so I have decided to make the book available again but instead of charging £57 for it I am only going to charge £1.99 !! This is just a token amount to show me that you are interested …… if you aren’t even prepared to pay £1.99 via Paypal then how committed are you to actually applying for a business loan in the first place ?? And if you don’t think that the information in the book is worth the £1.99 or it doesn’t save you a ton of time then I’ll happily refund the £1.99 – I dont think I can be fairer than that. So either BUY NOW or feel free to read the rest of the sales letter that I wrote back in 2006. Even though banks and financial institutions all over the world have had lending targets imposed upon them by their governments in order to invigorate their national economies the banks are still ‘turning down’ perfectly good applications to borrow money. Even if they approve the loan – if the application isn’t ‘cast iron’ then they are imposing quite stringent terms and conditions on the borrower. Learn what the lenders are looking for before you put in your application!! To help you – the business owner or finance manager stand the best possible chance of securing the funds you need – this short easy to read informative guide has been written in order to lead you through the loan application process. Called “Funding Secrets Revealed” this guide will help you…. By showing you exactly what information the lenders require. How to present the relevant information in order to give a professional image without having to spend a fortune. How lenders work out the rate they charge by letting you understand the ‘Risk/Reward Ratio’. 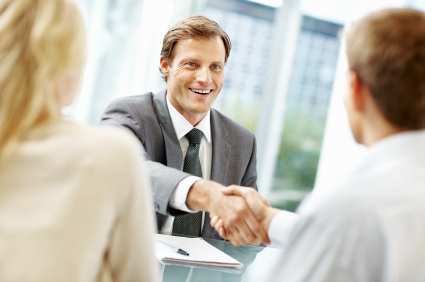 To work out whether the lender is offering you a good deal or not. To decide which of the myriad of products in the market place will best suit your needs. And by answering these questions (plus a number of others!) the knowledge that you gain from the information enclosed will allow you, the business owner, more time to concentrate on the project you actually need the money for! The information revealed in the booklet will give you a head start when thinking about or preparing your own loan proposal, giving you a much higher chance of obtaining the money you need. The book was written by an independent small business owner who in the late 90′s was able to use the knowledge outlined in this book to borrow the funds to buy and renovate a number of properties in the uk – some friends of his who were turned down in their loan application by a national bank asked for his help. – He ‘Re-Packaged’ the information that his friends gave him and reapplied for the loan to the same bank – because it was now in a format that ’the banks understood’ the loan was granted and they were able to buy and renovate the property. This started him thinking and he retrained as an ‘official loan consultant’ – regulated by the Financial Service Authority in the UK – earning a commission from loan proposals that he put forward to different lenders. By early 2005 he knew that there was something going wrong in the economy because even though he was working with ‘Business Link’ (a government funded organisation whos’ aim is to help businesses in the UK) the majority of finance requests he was dealing with were from people and companies wanting to refinance machinery and properties because they were already having cash flow problems – and although at the time it was good for commissions to refinance these deals it was evident that it couldn’t last. – The rest is history as they say!! Now – as the whole world recovers from the recession and businesses need to borrow in order to grow and expand is a time this information is even more relevant than before – because it will help you the business owner / entrepreneur to put your loan request in a format that will give you the best possible chance of getting the loan you need. Also – the booklet is short and concise. You won’t have to trawl through a 100 page document to find the information you are looking for. Working on the principal if it’s easy to do …….then people do it; it has been kept as short as possible. It was written and kept short so that people would read it, then ACT ON IT and therefore could benefit from it. Here’s what some people have said about it……..
Dear David, As the managing director of a small company, borrowing money is something that is always rearing its head. Having read through the booklet I now have a much clearer perspective of the best action to take when trying to borrow funds. The booklet is clearly set out, and is very easy to follow. I can safely say I would now be confident of securing a loan for my business, using the information given to me by this booklet. 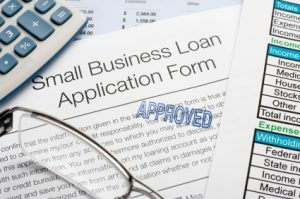 It doesn’t matter whether you are in a start up situation or growing an existing business this easy to follow guide will help to take the mystique out of the loan application process. – It could save you hundreds, if not thousands of £ / $ / Yen in not having to prepare expensive business plans. Just click on the Buy Now Button and you will be taken to Paypal’s secure payment site and then the book will be delivered right to your inbox. Your Complete Satisfaction – Guaranteed ! 100%, 30 Day No Quibble Money Back Guarantee! P.S. Remember if you are not happy with it for any reason then you are covered by our 30 day no questions asked money back guarantee. Are you looking for small business finance? If so then in the current market place you will know just how difficult it is to get hold of the funds you need. The book was written by an independent small business owner who in the late 90′s was able to use the knowledge outlined in this book to borrow the funds to buy and renovate a number of properties in the UK.